In 27 working days, 9,884 lf of utility trenches were cut in both limestone and basalt by our 955 Vermeer Trencher. 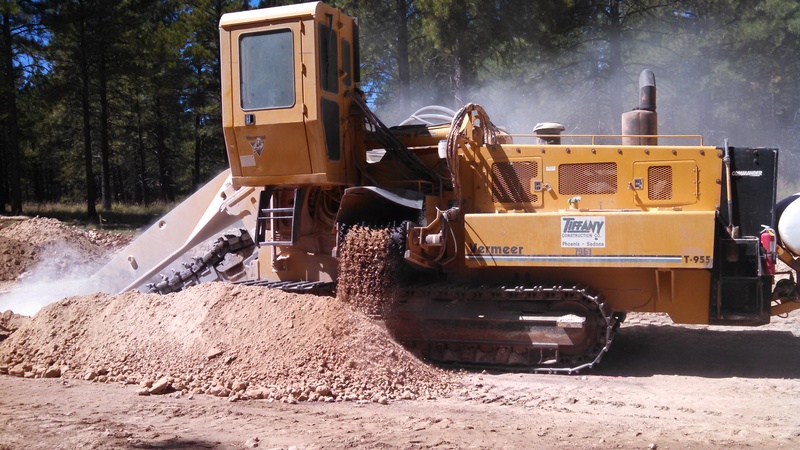 Because the project is located within an active Military Base, Drill and shoot activities were not permitted and TCC was contracted to employ our 955 Vermeer Rock Trencher to assist in the excavation of 8736 cubic yards of very dense and abrasive breccia rock for a new building pad. TCC trenched 14,858 LF of 6’-8’ deep trench with our T955 Vermeer Rock Trencher in basalt and limestone before installing dry utilities along Lake Mary Road. We were able to complete this project in 18 working days, below budget and ahead of schedule. 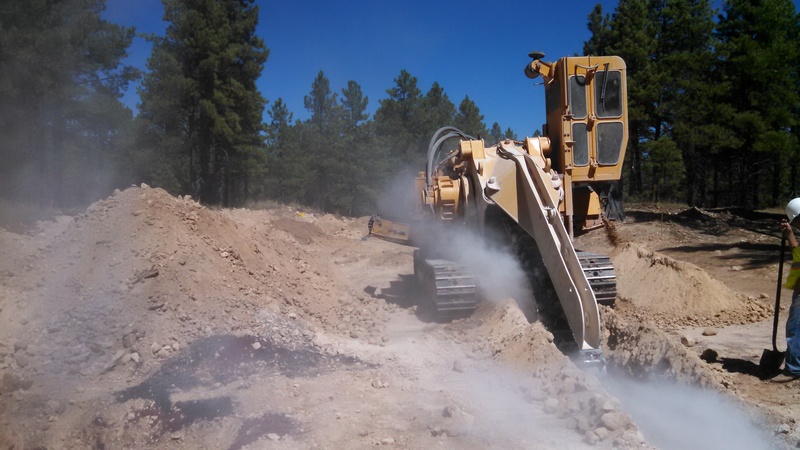 TCC trenched over 5000 LF of very dense basalt rock in Flagstaff for new waterline installation. 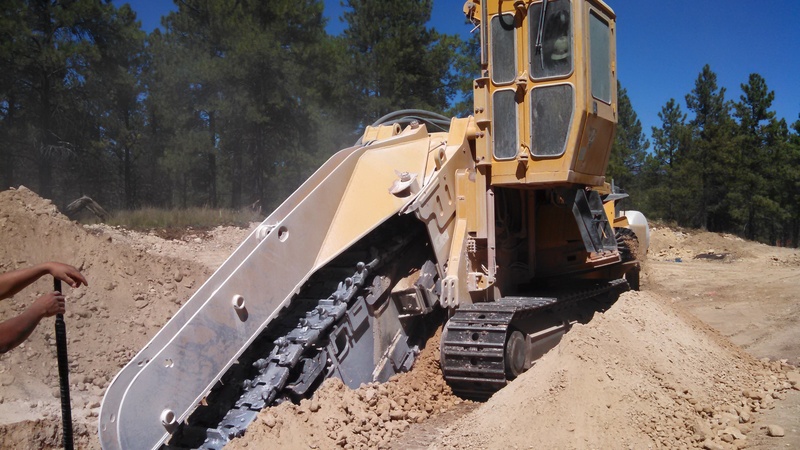 TCC removed 23,663 CY of rock utilizing drill and shoot for new condo pads for a new condominium project in Sedona. In addition, we rock trenched with our Vermeer T955 Trencher and installed 2,723 LF of sanitary sewer, 2,024 LF of 8” waterline, 2,560 LF of dry utilities, 2,335 LF of gasline and 2,982 LF of stormdrain ranging in size from 12” to 48”.